Peter Phillips, creativve director for Chanel makeup has created a short film for the beauty kit in a more technological sense. The video was amazing inspired by robots and a past shoot that Phillips has done with Vogue Paris. I really loved how the makeup looked so real and came to life, hands down Peter is a true genius artist putting this all by himself. If your searching for the perfect day/night clutch I have the ideal choice for you. One of my all time favorite clutch is the most known world wide, Knot intrecciato by Bottega Veneta. 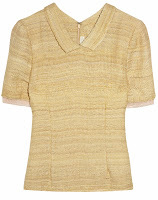 Net-A-Porter has a wide selection with beautiful colors, they are to die for! 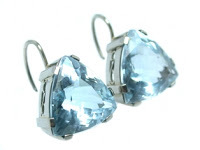 You can go from day to night, wear them summer or winter, and more importantly their perfect for any occasion. I own two and I totally love it! 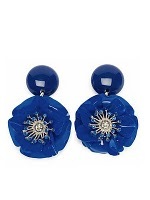 They always make a statement and look superb with any gown or clothes. 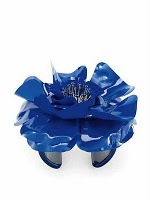 Check out www.Net-A-Porter.com for more. 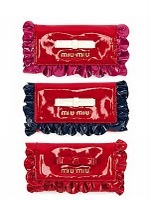 Miu Miu is celebrating with all of the loved ones on Valentine’s day. Its a capsule collection that will be launching this week world wide! 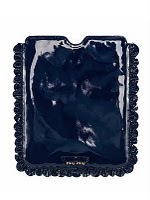 The collection features iPad cases, clutches, satchels, with a girly touch and flower applique jewels. 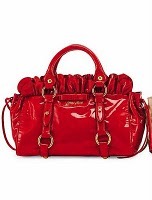 I loved the color red and shiny leather, it’s such a gorgeous gift. 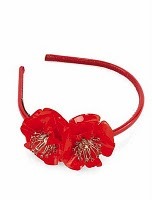 The bracelet and head bands looks pretty too, the girly capsule collection is amazing! This must be one of the most amazing nail art I’ve ever seen! I was going through some blogs and found this Louboutin intellect nail vanish. 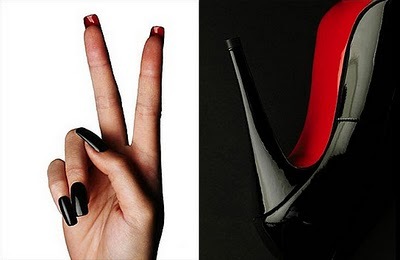 You can wear your Louboutin on your fingertips and soles! It’s one of a kind and superb idea, Love it. Showcasing the most memorable pieces from the spring collections by Jil Sander, Prada and Alexander McQueen for Glass Magazine. Featuring Anne Sophie Monrad bringing a girlish appeal to every shot photographed byFelix Lammers. More of the editorial under the “cut”..
Net-A-Porter announces the launch of Rodarte Spring/Summer 2011 collection, the celebrated collection created by sisters Kate and Laura Mulleavy. Who doesn’t love Rodarte? Since they hit the runway everyone has gone head over heals over their collections. Rodarte was started off by the sisters in their hometown of Pasadena, California in 2005. They wanted to tell a story and recreate emotions through clothes; hands down they’ve done it the best possible way with hand-made materials, textures and fabrics. 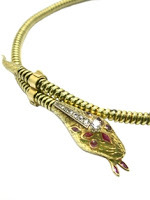 “The sisters have perfected the combination of workmanship and eccentricity. They let their quirkiness come through in their designs, all the while playing up a dream-like element that really appeals to the romantic woman,” Buying Director of Net-A-Porter, Holli Rogers. It’s a virtual art work, with bold wrap skirts, high-waisted trousers, and shoulder-less blouses. I thought the mixture of colors in the collection was absolutely phenomenal. Net-A-Porter has once again added an A-list designer to their team, I love it! Visit www.Net-A-Porter.com to view the collection. Razan a Saudi Based designer which is born and raised in Saudi Arabia has made it to the top with her effort and awe-inspiring talent. She pursued her studies at The School of Museum of fine arts in Boston. She focused in her studies on sculpture, screen-printing and paper making. After graduating Razan was endeavored to develop her own fashion line; nothing stopped her! Her talents and thrive for fashion was more than enough to make her a successful fashion designer. Razan creates clothes with delicacy and grace embracing her own individuality. 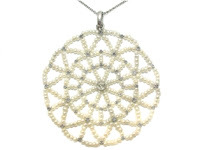 The combination of her designs are exquisite a bit of elegance with playful touches here and there. The best of tabloids and fashion magazines has written about Razan and her success! 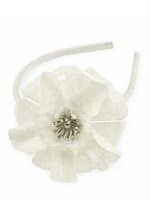 Many celebrities have worn her collections, from Emma Roberts to Holland Roden and many more. Her F/W 2011 collection is very elegant and chic – a girly girl with a feminine touch to it. I’m in love with her short dresses, and leggings; its very wearable. One thing that I really love to do is to write about new and upcoming designers and labels in the making that are going to be epic! La Belle Epoque Jewels is one of them; she’s a graduate gemologist that specializes in searching the worlds best unique embellishments and pieces. From the 1915 liberation the Art Deco, 1935 introducing the bright colors and geometric styles and the retro of the 40’s. Carrie Ryan the master behind La Belle Epoque is an Australian which moved all the way to Dubai to experience something new, “I love Australia and am incredibly patriotic but I wanted to experience more, put myself out of my comfort zone, try something new and challenging, live in completely different culture and hopefully learn a new language (ashamedly I’m still working on that). It all happened quite quickly one day I said I’m going to Dubai and next thing I know I’m here.” Carrie to YOU magazine. The name, Le Belle Epoque, or The Beautiful Era came from the 1985 to 1914 which was known for its prosperity and luxurious lifestyle era. 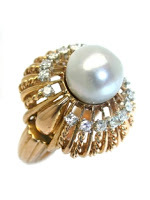 The jewelry was the most elegant and very delicate. “For me this was the most poignant name choice – while I deal in jewels from all periods, I try to acquire those of which are the most elegant or representative of the time in which they were created,” explained Carrie. 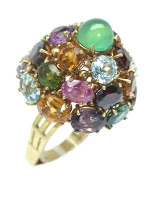 Carrie can do private viewings of her jewelry for individuals and small groups when requested. I really adored the pieces, I mean who wouldn’t want a piece of jewelry. 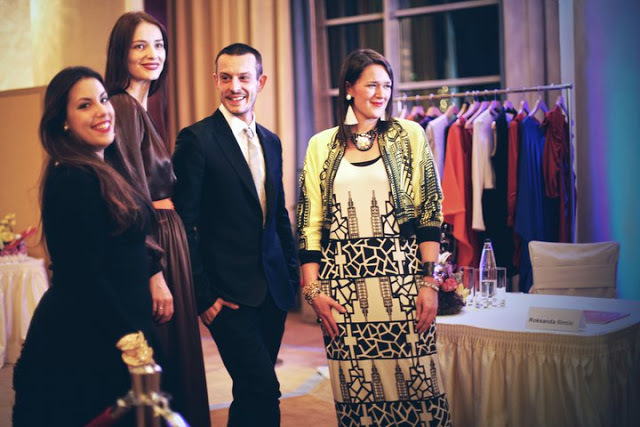 HauteMuse once again has amazed us by the success of their second fashion event that took place on Saturday 26th of March at La Cigale Hotel in Doha, Qatar. 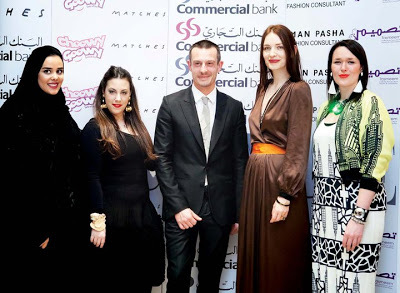 It featured the inspiring London-based deigners,Mary Katrantzou, Jonathan Saunders, Roksanda Ilincic and Holly Fulton along side matches fashion hosted by Fatma Al-Thani, Noor Al-Thani and Muneera Al-Mosallam with Fashion Consultant, Iman Pasha! The designers launched exclusive pieces that were only revealed in Doha during the event including their Fall/Winter 2011 collections that were brought straight from the runways of London for pre-orders, nothing beats that. 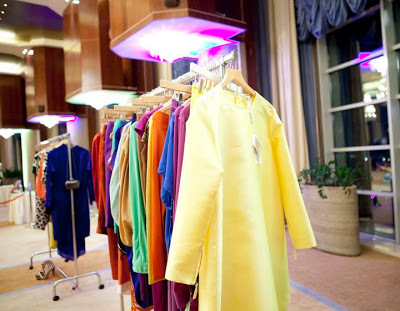 The V.I.P guests, Qatari and GCC royal families got to indulge on the best pieces for next season! It was pure heaven. That’s not it the shopping items is not over! Matches Fashion bought many other Spring/Summer 2011 pieces by Celine, Isabal Marant, Christian Louboutin, YSL, Chrsitopher Kane, Alexander McQueen and many more hang around all over the ballroom. The girls just went head over heels for the lovely collections, by far best Saturday shopping day in 2011. HauteMuse and Matches Fashion wouldn’t be successful without the great help by all the HauteMuse team; Fatma Al-Thani, Noor Al-Thani, Muneera Al-Mosallam. All the lovely, helpful interns, Aliya Al-Obaidly, Shaha Al-Khulaifi and Sabrina C. Photographers; Mariam Al-Rasheed and Anfal Al-Kandari. Videographer; Umer. Let’s not forget the awesome volunteers who made the night go by so smoothly. The event was thriving by all measures, everyone had an incredible time shopping, talking to the best of London based designers and meeting all the fashionista’s! The event exceeded all expectations! Guests from all over the region flew in specifically for the shopping, meet and greet of designers and enjoy their time to the fullest! Kudos to all the HauteMuse team and many more events to come, this is just the beginning. Photographed by Anfal Al-Kandari & Maryam Al-Rasheed, HauteMuse Magazine. 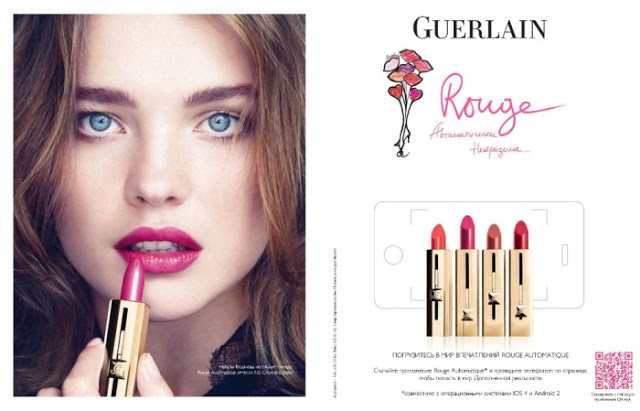 The new face of Guerlain’s beauty ad campaign is the gorgeous Russian model Natalia Vodianova. She is featured in Guerlain’s Rouge Spring 2011 Campaign applying a raspberry shade lipstick from Guerlain’s Spring 2011 beauty collection. Natalia’s face was very fresh and flawless, I loved it! 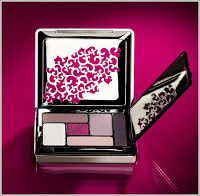 Natalia was also featured in Guerlain Spring/Summer make up ad campaign. The blushes were illuminating with bright shades lipstick and vibrant eyeshadows. From fashion gossip to Runway Reports, to fashion Interviews, and Photography that we have taken all ourselves. Our Dream for the future is to have our own fashion magazine, and it doesn’t stop there!